SACRAMENTO, California, September 23, 2010 (ENS) – The California Air Resources Board today unanimously adopted a regulation raising California’s Renewable Energy Portfolio Standard to 33 percent by the year 2020. A phased-in approach provides for interim targets that lead to the requirement that by 2020, one-third of the electricity sold in the state must come from clean, green sources of energy. “This standard is going to further diversify and secure our energy supply while also growing California’s leading green technology market, which will lead to cost savings for consumers,” said Nichols. In the past month, the California Energy Commission has licensed four large-scale solar power facilities, most recently, the Ivanpah Solar Electric Generating System project in the Mojave Desert approved Wednesday. 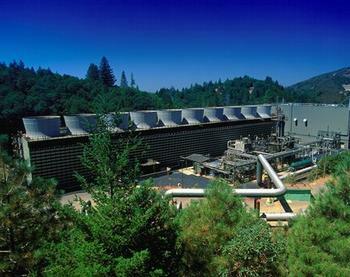 The 370-megawatt project would be among the first commercial solar thermal power plants permitted on federal public land in the United States. The project still requires a decision from the Bureau of Land Management, which approves the use of federal public lands, before it can proceed. The BLM’s action is scheduled for October. “There is a multi-trillion dollar global market for clean energy, and I look forward to seeing even more investment and job creation happen throughout our state with today’s commitment,” he said. While Schwarzenegger said he is pleased with the regulation, he will work with the California Legislature to put the 33 percent standard into a statute. The legislature did not vote by the end of its session on a bill that would have enacted the 33 percent standard into law. The bill passed the Assembly, but the State Senate ran out of time before the deadline to vote. The legislative session ended on August 31. She urged the governor to call a special session to pass a 33 percent standard. But today Wisland told reporters the Air Resources Board regulation is not what California needs. Under the regulation, utilities can meet their entire obligation by buying “renewable energy credits” instead of generating energy from renewable sources. The credits would pay for renewable energy generated at facilities in other states or even other countries such as Canada or Mexico. “California doesn’t get any power for that purchase,” Wisland said, “so we get no greenhouse gas reduction benefits, no air quality improvements and no clean jobs.” She pointed out that California utilities could still generate power using coal, oil or gas. Under the current law, which specifies a 20 percent renewable energy standard, utilities cannot use credits to meet their obligations and all the renewable energy must be produced in California or in another state that feeds electricity into the California grid. The ARB regulation mandates a phased-in approach with interim targets for renewable energy of 20 percent for 2012 – 2014; 24 percent for 2015 – 2017; 28 percent for 2018 – 2019; and 33 percent for 2020 and beyond.